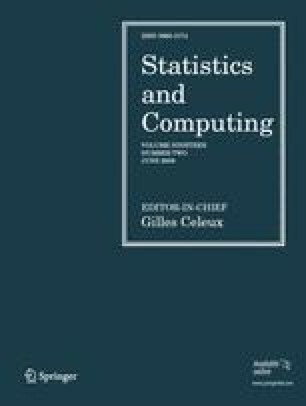 The effect of nonstationarity in time series columns of input data in principal components analysis is examined. Nonstationarity are very common among economic indicators collected over time. They are subsequently summarized into fewer indices for purposes of monitoring. Due to the simultaneous drifting of the nonstationary time series usually caused by the trend, the first component averages all the variables without necessarily reducing dimensionality. Sparse principal components analysis can be used, but attainment of sparsity among the loadings (hence, dimension-reduction is achieved) is influenced by the choice of parameter(s) (λ 1,i ). Simulated data with more variables than the number of observations and with different patterns of cross-correlations and autocorrelations were used to illustrate the advantages of sparse principal components analysis over ordinary principal components analysis. Sparse component loadings for nonstationary time series data can be achieved provided that appropriate values of λ 1,j are used. We provide the range of values of λ 1,j that will ensure convergence of the sparse principal components algorithm and consequently achieve sparsity of component loadings.